This beautiful designer 4Baby toy-sized moses basket is made from a strong natural palm and provides the ideal place for your little one to keep their favourite doll. 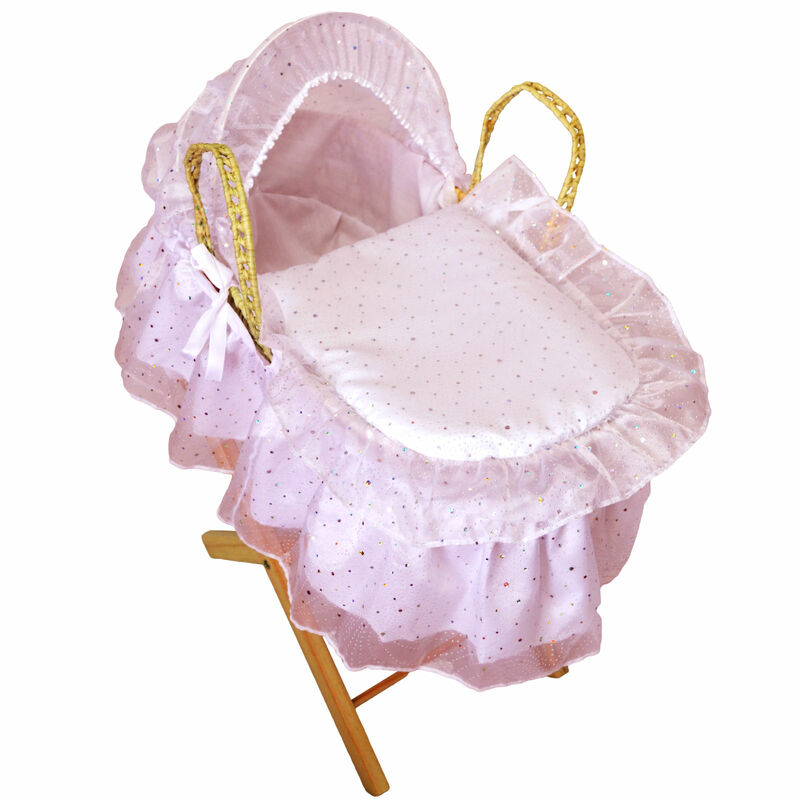 Styled with a stunning sparkle fabric this elegant dolls moses basket would make the perfect addition to any child’s playroom. 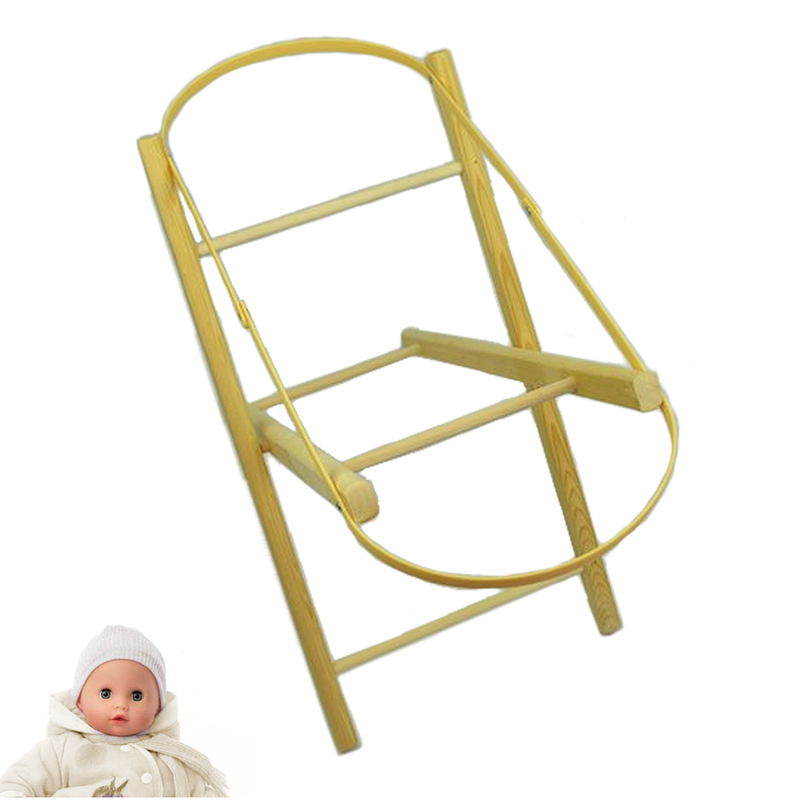 Also included is the wooden pine moses basket stand, which requires no assembly and is designed to accommodate dolls moses basket to complete the look. Great product,fast delivery,im a very happy customer Thank you.